I have this week discovered the most marvellous invention on the back of a pack of Arnott’s biscuits. 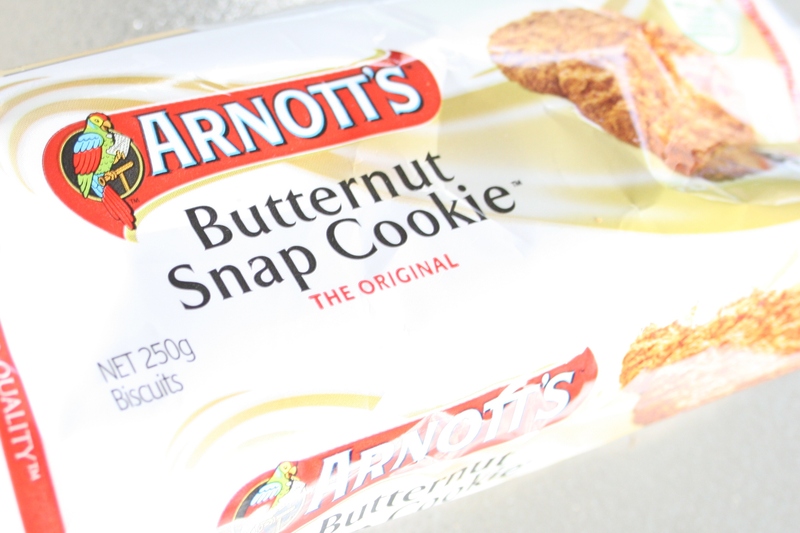 I normally never read the recipes printed on the back of biscuit packs, but for some reason I was looking at the back of this particular pack of Arnott’s Butternut Snap biscuits I was about to buy. 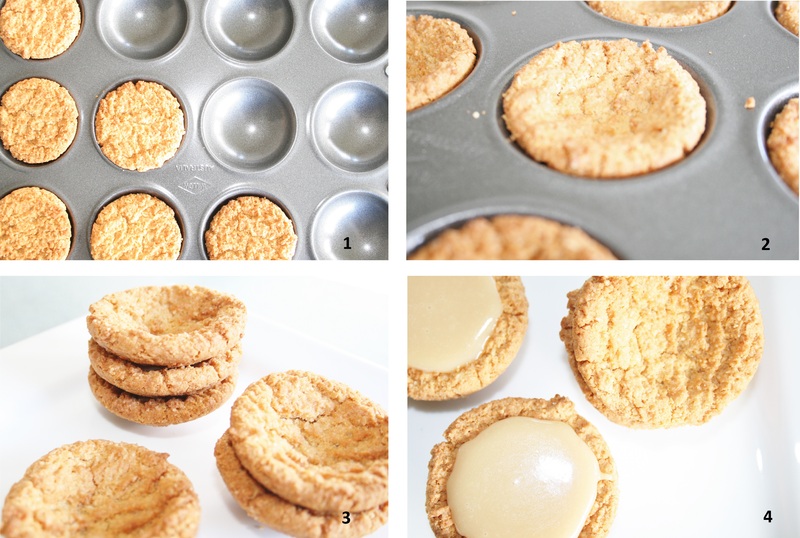 My original idea was to use the biscuits to process with butter to make a pie crust, but right there on the back was a recipe showing how you can use the Butternut Snap biscuits to make your own little tartlet shells in literally two minutes. Overcome with excitement, I rushed home to try it out and I could not believe how easy it was! No messing around with food processors, or tartlet cases or moulds, or trying to get a nice even crust, just 12 perfectly even and round tartlet shells in a matter of minutes. All you have to do is place the biscuits over the holes in a shallow patty pan, then into a pre-heated oven, bake for two minutes which softens the biscuits and when it comes out you gently press it down into the mould of the patty pan and let it cool for about 10 minutes to harden up again. Then fill it with anything you like such as caramel, custard or chocolate. I’m filling mine with caramel to make miniature banoffee pies, check back later this week for the recipe! Place 12 biscuits over the 12 holes in the patty pan and place into the pre-heated oven. Bake for 2 minutes (or until the biscuits are soft) and remove from the oven. Using your fingers, gently press the softened biscuits into the mould of the patty pan to form a cup and leave to cool. (I also tried this in a mini muffin pan and it didn’t work. The holes are too deep so the biscuit cracks down the middle). Once the biscuits are cooled, fill with desired filling and enjoy straight away or store in an airtight container in the fridge for up to 3 days. This is fantastic! I’ve read the packaging before and thought it wouldn’t work! I want to try this now.